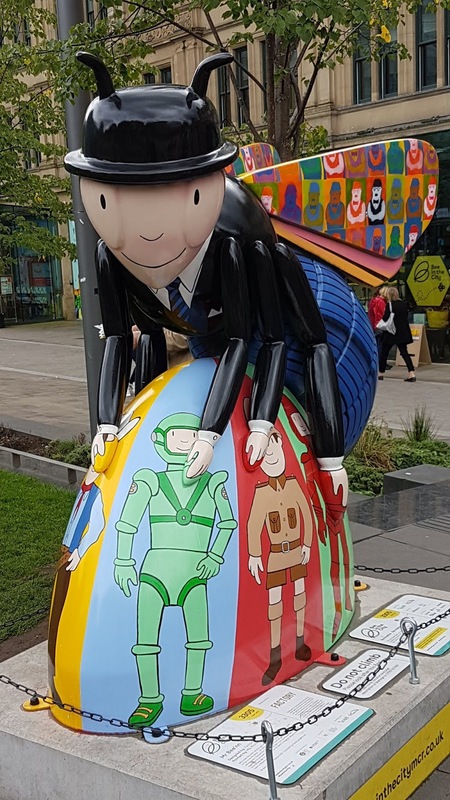 Manchester is synonymous with the worker bee. It has been used as a symbol to represent the history of Manchester's industrious past. In the 19th century, Manchester was a hive of activity during the industrial revolution and wherever you walk in Manchester you will see a bee, whether that is an emblem on the city bins and lamp-posts, or on its heraldic coat of arms. Art trails have become a fantastic way of getting people to visit cities and raise money for good causes. 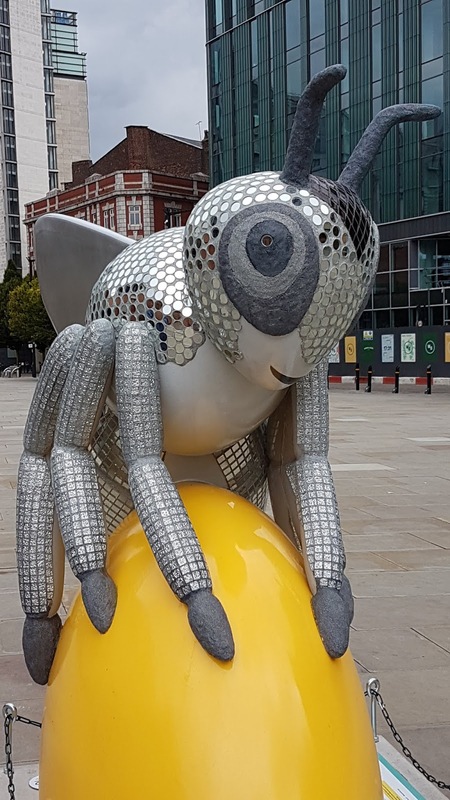 From Liverpool's Superlambanana's, the international Cow Parade, and Bristol's Gromit (Wallace and Gromit) Unleashed Trail, Manchester has taken its famous bees to the streets this summer in the shape of 101 super sized bees and 131 smaller bees, all decorated by different artists celebrating the uniqueness of Manchester. But let's put our bees on hold for a moment. 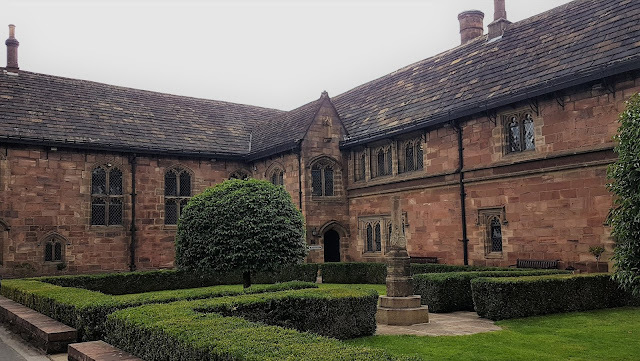 As this trail takes you the length and breadth of Manchester, we decided to take a closer look at one of its historic buildings first. People who read my blog post in February will note that I took a behind the scenes tour of the Principal Hotel/Refuge last time I visited the city. http://www.imblatheringnow.com/2018/02/an-assured-principal-refuge.html This time I'm going behind the scenes of a library...something that's right up my street! 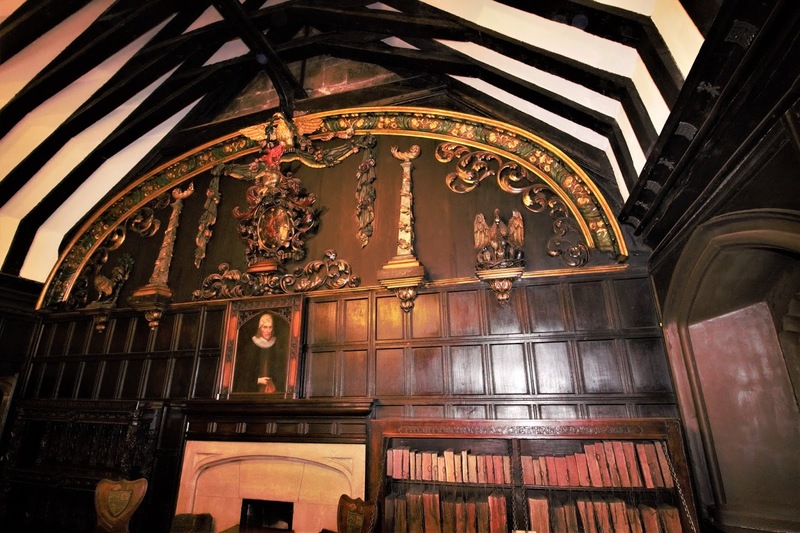 Founded in 1653, Chetham's Library is the oldest surviving public library in Britain. Humphrey Chetham (1580-1653) was a Manchester landowner, banker and textile merchant who established the library under his Will. He also stipulated a school should be created for forty poor boys, and chained libraries should be placed in five local churches to assist with community learning. The medieval complex, originally built in 1421 to accommodate the priests of the local church (now Manchester Cathedral) create a unique place for visitors and scholars alike, and even TV production companies! During the Civil War, the college had been used as an arsenal and prison and subsequently fallen into neglect and so a great restoration project needed to be undertaken. Until Humphrey Chetham's library was created, there were no places for independent study in the north of England. His library changed that, acquiring a huge collection of manuscripts and books which could rival those held at Oxford and Cambridge college libraries. The earliest purchases were all made from the same London bookseller and covered subjects such as medicine, science, history and law; the aim of which was to assist local doctors, lawyers and clergymen. In order to protect the books from the damp, they were held on the first floor and they were chained to the bookcases. Oak stools, with an "s" shaped hand-hold carved out to carry the stools by, were provided so students could take the stool to the books, as the books could not be taken away from the shelves. 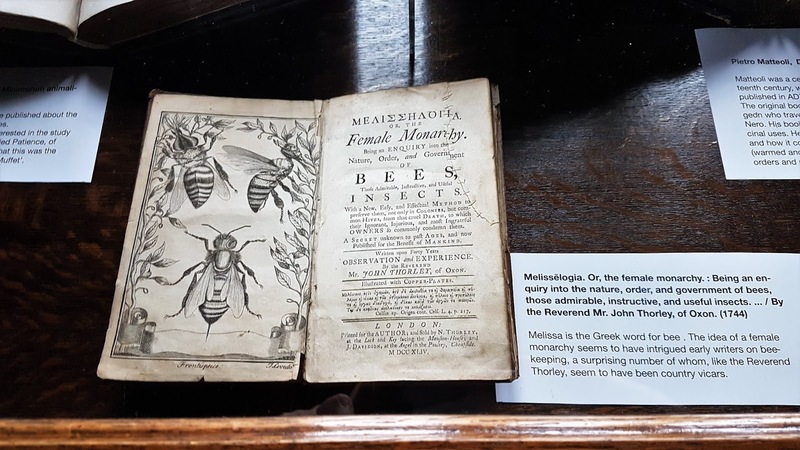 The library continues to grow its collection of books and some 350 years later, the library remains an important centre for study. One of the first stops on the tour is the Baronial Hall - a great example of the types of timber framed halls in the north west of England. Originally the timber roof would have been open to allow smoke to escape from the central fire. Over time various modifications were made until we are left with the large inglenook 19th century fireplace that can be seen today. The Audit Room is highly decorated, most visible is the ceiling which has been divided into nine panels depicting various grotesque designs including the Mouth of Hell. There are similarities in the designs in this room with the panelled roof of the Cathedral across from the library. The large oak table in the centre of the room has a strange mark on it, which legend suggests is from the hoof of the devil. In 1595, John Dee (Astrologer to Queen Elizabeth I) took over the wardenship of the college. As well as an astrologer and scientist, he was reputed to be an alchemist and follower of the occult, and his endeavours allegedly resulted in the devil making an appearance in the Audit Room. 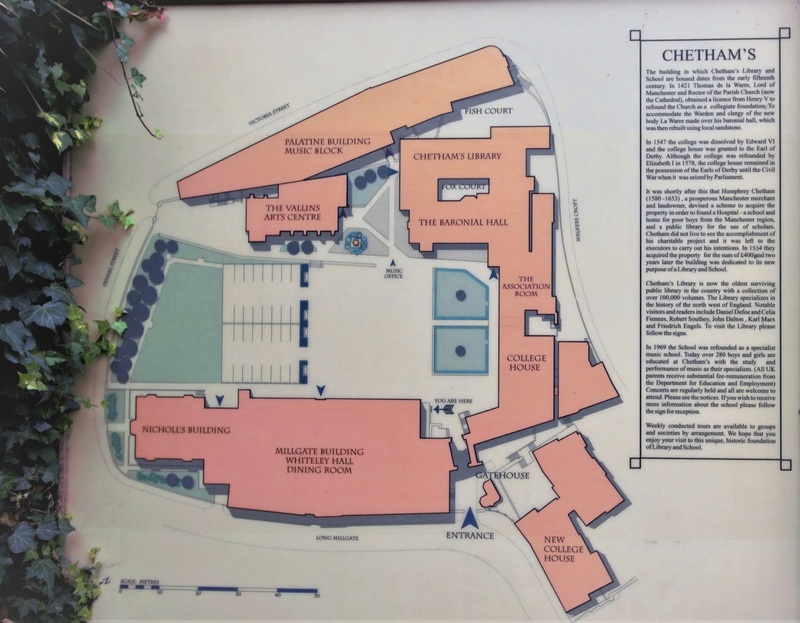 The Cloisters are arranged around a central courtyard. 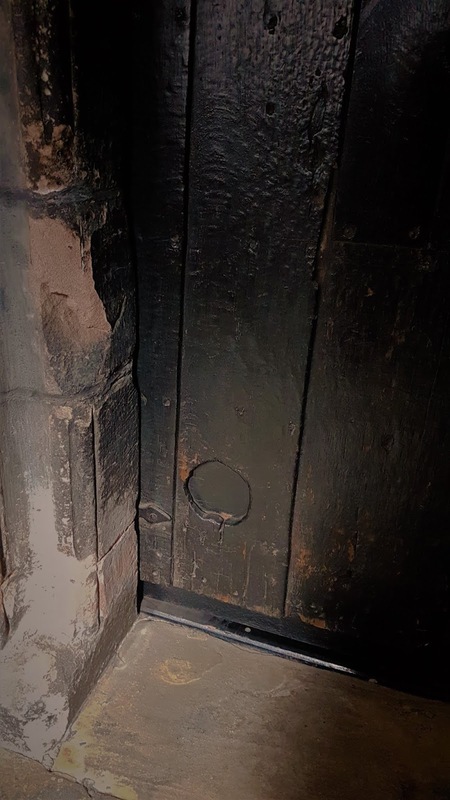 If you look closely at the doors, you can see the earliest form of a cat flap at the bottom! The cobbled courtyard, known as fox court, contains an old stone well which has three small openings at its top. If you look carefully through one of the openings, an optical illusion makes you think you can see a trapped fox in the well...hence the pet name given to the courtyard. As I made my way up to the library, I couldn't help thinking I'd seen it before. The librarian had joined the group to give us more of an insight into the working library, and as he spoke about the history of the place and drew our attention to various matters it bugged me that the place seemed so familiar. 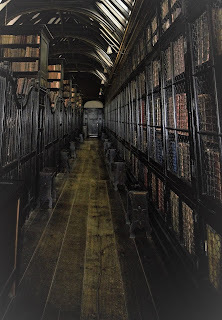 Impossible...I'd not even heard of Chetham's Library until a friend asked if I wanted to visit. Suddenly it came to me. 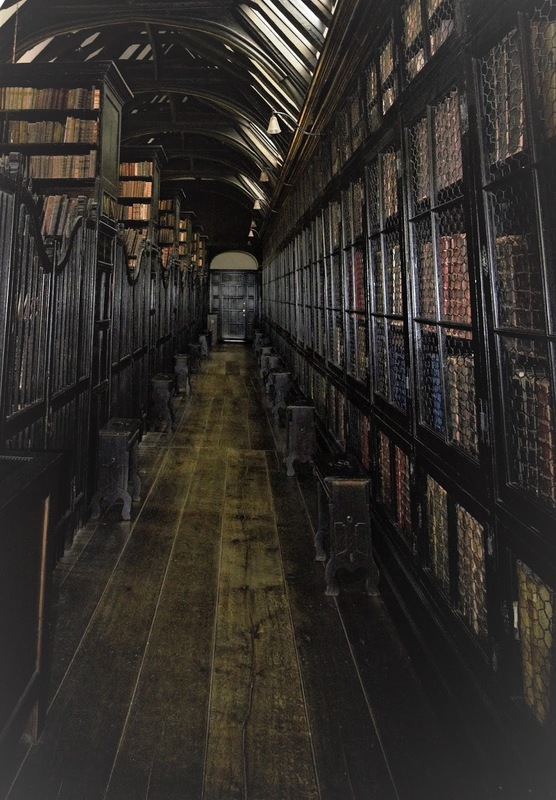 The actor Mark Gatiss, a huge fan of the ghost-story writer M R James, directed a BBC production of The Tractate Middoth at Chetham's Library. I watched it again when I returned home from my visit (how come each time I visit a Manchester place of interest I end up going home to watch something that was filmed there?!) Upon watching it, I noticed Sacha Dhawen, who played Dr Valentine in the theatre production of Allelujah that I'd recently been to see, was also in The Tractate Middoth. How strange a coincidence! interest which he spoke about, and then because we were a small group, he allowed us into a small "secret" room for a quick peak. It's an interesting and beautiful building to go around, so if you get the opportunity I would urge you to go. So back to the bees. Once we left the library it was back to our mission of locating the bees of Manchester. We had loaded the app to our phone and managed to work out how to use it. Having managed to spot a bee outside the railway station and a couple on our way into town, it was now time to take a tour of as much of Manchester as time, and our feet, would allow. By the time we'd marched up to what we thought were "empty" bees, there would be a swarm of people hovering, making picture taking difficult. No-one wants a stranger taking a picture of their kids, and to be honest, I didn't want a stranger's kids on my pics either...but perseverance paid off and we got a few nice shots of the bees. We managed to walk about 8 miles, seeing parts of the city I'd never been to before, and we found 41 of the large bees...not even half of what was laid around the city. But with sore feet and a setting sun it was time to throw in the towel. 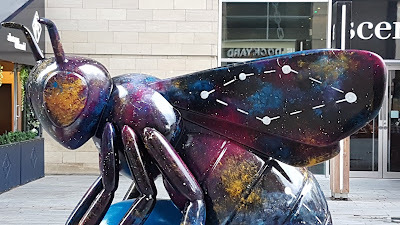 We'd already walked past the bee at House of Fraser. The app said it was inside the store, so we raced in like Anneka Rice on Treasure Hunt, racing around trying to find it until some poor soul directed us back outside and told us to look at the window display. If you can walk past a huge bee, which has signs pointing it out, and you can't see it, you know it's really not worth carrying on. We couldn't even be bothered walking to find a bus...a taxi was heading towards us and before we knew it, we were in it heading home! It was a great day out and hopefully when the bees are auctioned off they will raise a large sum of money for the Lord Mayor of Manchester's We Love MCR Charity. If there are any of these art trails somewhere close to me next year, I'll be heading back out there, camera in hand. Only this time, I might get the map beforehand and plan a route around the city!